• Amazon은 스마트 홈 설치에 적합한 라우터 및 메쉬 Wi-Fi 시스템에서 유명한 Eero을 구입하고 있습니다. • 아마존은 Eero와 그 기술을 습득하게 될 것이라고 말했습니다. "Eero 팀에 놀라움을 금치 못했고, 얼마나 빨리 연결 장치를 작동시키는 Wi-Fi 솔루션을 발명했는지"알 수 있기 때문입니다. Folks are tweeting like the Amazon Eero acquisition is about Alexa... but Eero runs your network, so it seems like it could be a much bigger play, like giving Amazon access to a lot of metadata and maybe even content (proxy?). How this develops will be really, really critical. This buy makes a crazy amount of sense for Amazon. Wonder if there will be an Alexa-powered router? "Alexa, what's my download speed?" Welp, I guess I’m not getting Eero anymore. This is happening all the time to great brands. Nest. Eero. Ring. Blah. First, congrats to @nsweaves & the Eero team ! What a nice exit! 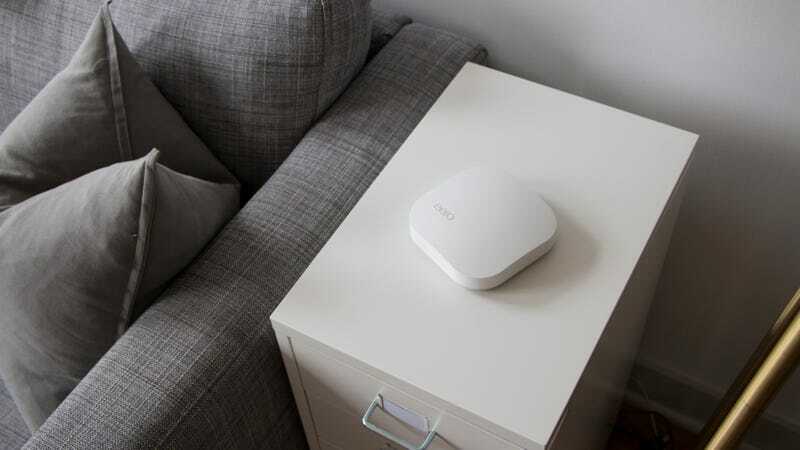 Amazon is buying @geteero, my favorite mesh Wi-fi router. Makes a lot of sense: elegant hardware design + a service business.